Everyone has a “To Do” list of time consuming or unpleasant activities that are postponed day after day, and often week after week. It could be a thorough inside-and-out clean of your car or tidying up that renegade area of your home. You can always find an excuse not to do it. But when it comes to your business, procrastination and excuses have greater implications. 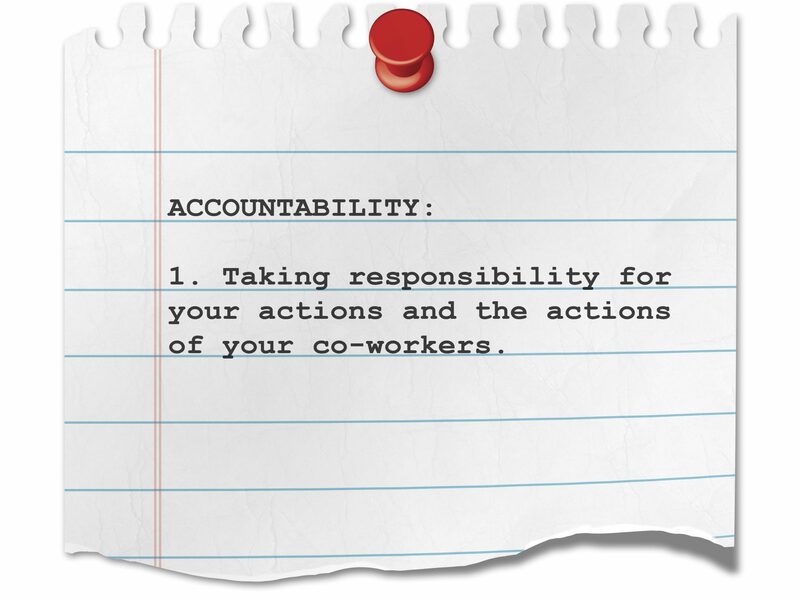 Accountability is a critical step towards the success of your business. Make yourself accountable for all of the important tasks that are required to manage and grow your business. Set aside time each day or week to get them done. Be hard on yourself and stick to your schedule. Try breaking large tasks into smaller, less overwhelming chunks. For example, knowing you need to make 15 cold calls each week to grow your business can be quite daunting. However, if you break it into three calls each day, it will seem more manageable and you’ll be more inclined to get it done. You don’t climb Mount Everest in one leap so don’t expect you will be able to perform larger business tasks in one go. Remember, you are accountable for the success of your business so if you don’t want to do certain essential tasks, employ or outsource someone who can do them for you. In most cases, the hardest part of performing your least favourite job is starting it. Once you’ve got your head down and get into it, you’ll probably find it’s not as bad as you imagined. In fact, you may be surprised by how quickly you can complete it. Besides, it’s a great feeling to finish something you dread and know it’s no longer on the horizon. A great way to boost your accountability is to find someone who will be honest and push you to do what’s needed. Look for someone you trust and respect, who will keep you on the straight-and-narrow and give you encouragement when you need it. No-one wins the Olympics without a great coach, so why not give yourself a head-start too? If you are looking for someone to hold you accountable for your business success, talk to Real Business Group. We work with business owners to help them get their business back on track and achieving their goals.